The "American Shower Report", a survey of 1,000 Americans, conducted in the year 2006 shows very surprising results indeed. Most of the Americans clean themselves in lesser ideal conditions. The survey results show that nearly one third of those surveyed admitted to cleaning their shower only once every month or lesser than that. Not many people like to clean up their showers and it is quite a daunting task for majority of the Americans. If the showers are not cleaned on a daily basis, then the soap scum tends to get deposited on the walls along with spots of hard water, mildew and lime scale. 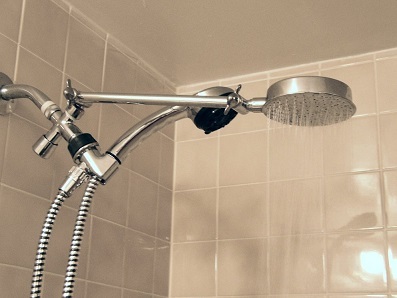 There are many products and brands available in the market for cleaning showers. There are some shower cleaning products that need to be used after every shower. You have to use this spray after every shower. The basic idea is to clean the shower after every use, so that it does not get scummed in the first place. This is quite a good idea, but it proves to be costly and time consuming. The Ylang Ylang Daily Shower needs to be sprayed on the shower surfaces and bath areas after each shower to remove the dirt and debris from the shower surfaces and prevent buildup of scum. This product is very effective and has an intoxicating scent. The spray removes the grime from the shower surfaces and if it is used on a regular basis, then there is absolutely no need for scrubbing. This is a new breakthrough in shower cleaning products. It has an innovative automatic system of spray cleaning. Scrubbing Bubbles Automatic Shower Cleaner has a patented formula for cleaning that mixes with the water on the shower walls to remove grime and goes on cleaning daily just at the touch of a button. The dirty shower is cleaned in just a few days and a clean shower is kept sparkling clean right from day one. The scrubbing is done away with forever. This product is fitted with a power sprayer that spins at 360 degrees, sprays the cleaning solution from a distance of over 8 feet. All the four walls of the shower are well covered by the power sprayer of Scrubbing Bubbles Automatic Shower Cleaner and it works best for both types of showers, with glass doors or curtains. 303 Shower Shield is an easier and less expensive solution to cleaning showers. It has manifold cleaning benefits as well. You have to follow simple steps like cleaning the shower, and then spraying it with 303 Shower Shield and wiping it completely dry. It is just a matter of few minutes and you will have the most clean and shining bathroom. 303 Shower Shield adds on a new luster to the shower doors, walls and fixtures and removes the mineral deposits, soap film and mildew. The effect of this product is quite long lasting and it lasts for about 6 weeks or longer. 303 Shower Shield is an environmentally safe and biodegradable product with a pleasant scent of lemon.